Step2 Toys have spent years building a solid reputation for their brand. Opening in 1991, they worked their way up from being a small new company on the market to now being one of the largest toy distributors in the US. When it comes to highly creative toys that are purposely designed to stimulate the minds of children of all ages, Step2 is one of the top brands you can always depend on. From sandboxes to easels, and swings to playhouses, Step2 has toys to fit every budget and every child’s needs while not only getting your child up and playing but also getting their creativity and imagination going too! 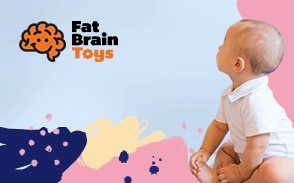 If you’re searching for the best toys the company is currently selling, we have taken care of a lot of the work for you and compiled a list of the 10 best toys by Step2 that are being enjoyed by families and their children. We hope you enjoy this article and that you and your children enjoy the Step2 toys you select for them. For this update, we focused on adding updated pros and cons to several of our picks to give you the best information about each item. We also narrowed our list to include only the Top 10 Best Step 2 Toys for your child! Can also be hung from tree branch if you don't have a swing set. When comparing to other infant/toddler swings available - this swing outranked the rest in regards to ratings and reviews! While reading the reviews there were very few negatives listed about this swing and being priced at $32.99 with the ability to use your Amazon Prime membership for free 2-day shipping, the value can't be beaten! The Deluxe Art Master Desk is the ultimate when it comes to workstations specifically for young budding artists. It’s got numerous storage areas for keeping a variety of your kid’s art materials and supplies. The large drawing or work surface area can easily handle large sheets of paper and other materials. Most of all, what's better than being able to keep all of your child's art supplies in ONE space so projects of all sorts can be completed at this desk! Large bins hold kids art supplies within easy reach. Vertical compartments store coloring books and tablets, keeping everything they need together in one spot. Desk comes with one New Traditions Chair perfect for preschool kids and toddlers. Hinged dry-erase writing surface wipes clean easily and opens to storage area. While the chair has a 75 pound weight limit, the desk is too small for most children over the age of 3. Appears to be quite difficult to put together. Only 30 day window to return if you are not satisfied with quality or size. Nothing makes a parent happier when it comes to getting a new toy for their child than finding out your child's new favorite toy also helps keep their art supplies organized and in one place!! This deluxe art desk has containers and compartments for every type of art supply your child's creative heart desires. It also comes with an overhead light and a chair so once you buy this for your little one, all you will need are the supplies to fill it and your child will have hours and hours of entertainment and creativity to look forward to. This was once known as a super-quiet ride. Like the name may suggest, the "Whisper II" was once the most popular push rider because of how quiet its wheels were, however with a recent hardware change the toy is no linger "whisper quiet." Aside from the fact that the Whisper Ride II ride-on toy doesn’t have any motors, to begin with, its tires were especially designed to create as less noise as possible. While the new tires may not qualify as to be considered "whisper quiet," this ride on is still one of the highest rated of its kind! Features two cup holders one for the child and one for parents. Comes in 2 colors. Blue & Pink! Needs to be completely assembled and the instructions are very vague. Doesn't turn easily, must lift the front end up slightly and move it yourself. While the age suggestion on the box reads 18months - 4 years it seems as though as long as your child can hold themselves up they will enjoy this toy as an alternative to a stroller so they can see more of the world around them! They not only get the feeling of independence while they "drive" where they are going but they can also honk the horn which some parents think is cute, and some parents wish they could prevent. Overall this is a great idea for any parent who goes on a lot of walks or participates in parades. This would even be a good idea to bring with on vacations, trips to the mall, or pretty much anywhere you bring your little ones! It’s always fun to play in the sand. Unfortunately, if you’re hundreds of miles from the shore, getting the Naturally Playful Sand & Water Center is an excellent option. It comes with a large umbrella to keep your kids well-protected from the sun while playing with the 2-section adventure table. Includes a plastic cover that keeps the sandbox clean and dry. The lid has molded-in roadways on top of it to provide additional play surface. Water tableside has a convenient drain plug for easy draining and cleaning. This toy requires minimal adult assembly! If legs are not attached correctly there may be some water leaks. No pre-cut holes to assemble, so you will need power-tools to assemble. This amazing toy combines both water fun & sand fun into one fantastic toy! As parents, nothing bugs us more than having a bunch of large toys taking up space in the house or in the yard. With this 2-in-1 you not only save space, but you also combine all the fun into one toy for your children to love and play with time and time again! Want to really surprise your young tots? Get the Deluxe Canyon Road Train & Track Table and they essentially get two types of play sets. The hardboard lid can serve as activity table while the deep tray introduces your kid to the wonders of playing with a toy train set within a canyon setting. Scratch-resistant surfaces wipe clean easily. Includes a 3-piece train set. A lot of assembly work is required. Lots of pieces so make sure to check that all pieces are there before starting to assemble. This dual-purpose train table is to be a big hit in any household that purchases it this year. Besides all the fun train tracks and scenery inside of the train table, your child can also close the table up, and use it as an activity center for themselves and a few friends. plus, the top is a whiteboard and can be colored or drawn on with dry erase markers! This table will create hours of fun for children and their parents too! Most easels will only allow kids to use it one at a time. The Easel for Two allows 2 kids to work simultaneously. The easel also includes magnetic letters and numbers to add to the children’s creative play. Large sheets of paper can be easily clipped on both easel drawing panels. This easel features a chalkboard on one side and a dry erase board on the other side. Includes 94 piece foam magnet letter and symbol kit. Both sides of the easel have clips near the top to hold the paper up and in place for artwork. The legs are not adjustable, leaving some easels wobbly. What's not to like about a double-sided easel!? Two children can play and keep themselves entertained at once. Dry erase markers, chalk, paint, regular markers, colored pencils, and even crayons can be used to do art on this beautiful easel! Best of all, the material the easel is made out of makes it easy to wipe it clean! Two yellow rubber duckies are floating on the cove. They’re either waiting for mommy duck to take them home or your kids to start spinning the rotary fan that will swirl them in a whirlpool. There’s even a frog on the Duck Pond Water Table getting ready for a perfect somersault. The pond-themed table includes 2 decorated ducks and a frog squirter. Includes a springboard to flip the frog back into the water. Mold can build up if not properly taken care of. The spinner may be hard to reach for shorter children until they become tall enough since the table height doe not adjust. The mailman just delivered a letter and it’s in the mailbox just outside the Neat and Tidy II Playhouse. Kiddie ‘mom’ was washing the dishes. She wasn’t able to hear the mailman calling. Besides, kiddie ‘mom’ still has a lot of cleaning to do to keep this little house as neat and tidy as possible. Open design keeps kids visible during playtime. Contrary to what it says, there are no drain holes for water to escape. Very lightweight, everytime the wind blows hard it blows away. Sandboxes are a popular outdoor play sets for young children. The gritty feel of sand on their hands can provide a different experience. They can also create many imaginative plays on the sand box alone. The Play and Store Sandbox is a bit different since it already comes with a lid. Only takes 3 - 50-pound bags of sand to fill. There are 4 "seats" one on each corner so you don't have to sit right in the sand if you don't want to. Lid isn't flat, it has a dome to it so toys can be left inside. Lid doesn't fit very tightly, so rain/bugs can easily get inside. Lid also has been known to blow off in high winds. Not a standard size sandbox, so make sure you check measurements before buying. Want your kid to love sports? How about getting the Game Time Sports Climber? It’s actually a slide, a climber, a basketball hoop, and a soccer goal rolled into one. It’s perfect for encouraging kids to engage in sports at a young age, developing their gross motor skills in the process. Able to have more than one child play on it at a time. Holes to assemble are NOT pre-drilled. You will need to drill holes yourself to assemble this toy! Must have a basketball pump to inflate the ball, which it doesn't say anywhere in the ad. Once the ball is inflated, it is too big for the hoop!